Reshape and resize a right triangle and examine how the sine of angle A, the cosine of angle A, and the tangent of angle A change. 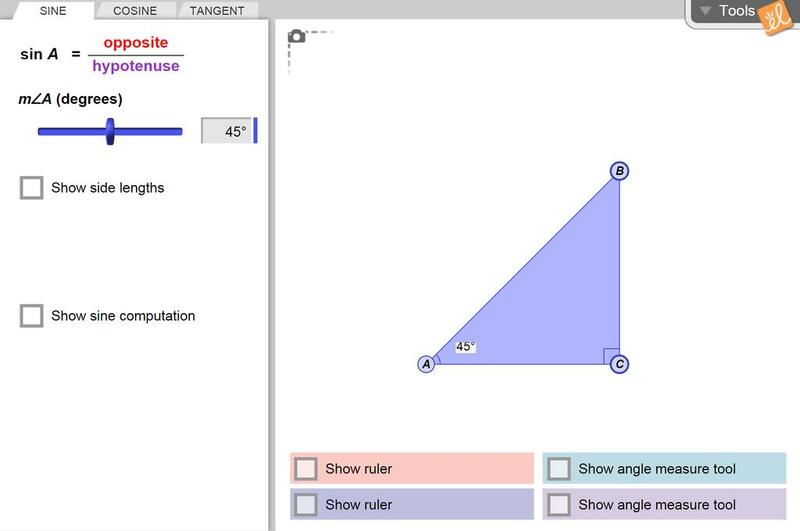 State of Florida - MAFS Florida Standards Assessment - Gizmo Resource for Geometry I. Contains sample que... (more)stion stems, various response mechanism types, and Gizmo suggestions for teacher and student use.